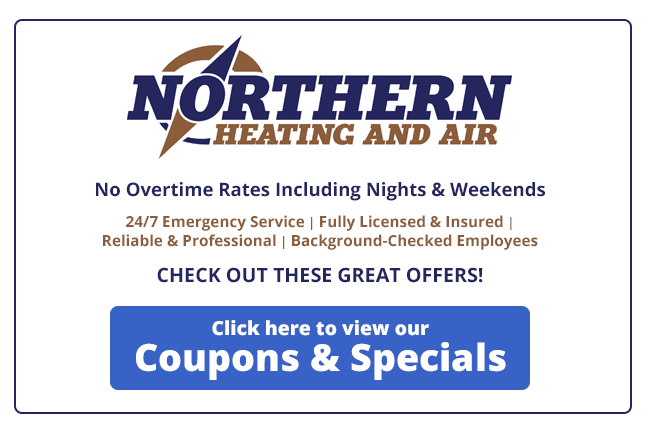 Northern Heating and Air is proud to present special offers to our customers! Take advantage of our special promotion, and join our Home Comfort Plan for priority services! Only one coupon per customer. Customer must mention this page or present a printed copy of the coupon.